As many of you know, I have been arguing against the Project Mogul explanation for what fell at Roswell from the moment that it was first proposed. I have never believed that it adequately explained the debris, descriptions of the field where it allegedly fell, or all of the witness testimony. When we cherry-pick what we want, then Mogul can be viewed as acceptable but, when we remember the words of Charles Moore, one of those associated with the project, we see its failure. Moore said that the balloons would not have gouged the terrain, and if there was a gouge, then Mogul is not the answer (and no, I’m not going to go through the eyewitnesses who talked of a gouge here). We know what Sheridan Cavitt had to say about it because it is repeated as gospel. Those who champion his testimony have forgotten that Cavitt lied about his whereabouts in 1947, lied about his assignment, said that he never went on any balloon recovery and then, in 1995, changed all that. He was there and recognized the material as balloon remnants immediately. He could not explain why he hadn’t mentioned this to either Major Jesse Marcel or to Colonel William Blanchard. And even after he had told the Air Force investigators that he recognized it as a balloon, he still told me that he hadn’t gone out to the site. He was at a loss as to why both Marcel, and Cavitt’s own NCOIC, Master Sergeant Lewis Rickett would say that he had. But the balloon explanation has held because of those who wish to believe that Roswell is easily explainable. It may be many things, but it is not so easily dismissed. So, why bring this up now... and again. Well, I think an examination of Dr. Albert Crary’s (seen here) diary, which provides us with the only record for Mogul Flight No. 4, the culprit identified by so many, needs to be examined carefully. By doing so, I believe that Mogul is eliminated from the list of candidates. First, let me point out that Charles Moore prepared detailed report on Project Mogul Flight No. 4 using his expertise and winds aloft data that I supplied to him. As I have mentioned before, that data only went to 20,000 feet and it was often incomplete with several stations either not reporting or reporting only partial data. Even the layman, looking at these data see that the winds are wildly variable and often blowing in nearly opposite directions from one altitude to the next. Second, let’s look at what Crary wrote about those early June, 1947, launches that included Fight No. 4. He said, "June 4, 1947. Out to Tularosa Range and fired charges between 00 and 06 this am. No balloon flight again on account of clouds. Flew regular sonobuoy up in cluster of balloons and had good luck on receiver on ground but poor on plane. Out with Thompson pm. Shot charges from 1800 to 2400." "Crary’s diary entries for June 4 are puzzling because they are contradictory.My examination of his original handwritten entries suggests that he copied from other notes; the entries from June 2 through the first half of June 5 appear to have been written in one sitting with the same pencil and without any corrections or false starts. During the hectic operations in June, he apparently used field notes to record events as they occurred and then transcribed them later into his diary. This is evident in some later entries where the events of an entire week were lumped together. 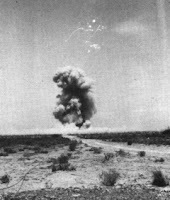 ...One interpretation of the June 4 entry is that the launch scheduled for making airborne measurements on Crary’s surface explosions after midnight was canceled because of clouds but, after the sky cleared around dawn, the cluster of already-inflated balloons was released, later than planned. The initial cancellation and later launch were recorded sequentially, as they occurred, in his field notes which he later transcribed into his permanent diary without elaboration." And another interpretation, based on earlier entries is that there was no flight No. 4. Crary’s diary for the trip to New Mexico notes on June 3, "Up at 2:30 AM ready to fly balloons but finally abandoned due to cloudy skies. I went out to Tularosa Range and fired charges from 6 on to 12. (Mogul detonation seen here). Missed 5:30 shot - trouble getting ordnance men." On June 4, "He wrote that there was no balloon flight..."
That seems to eliminate Flight No. 4. It is not recorded in the final documents associated with Project Mogul. Remember, Moore himself noted that Crary had copied over his field notes in one sitting so there is the distinct possibility that he copied them incorrectly so that we have an impression that there was a later flight of balloons on June 4 which would have been Flight No. 4. But we have no real record of it. Instead we have Flight No. 5 the next morning, the first of the recorded New Mexican flights. Something else the skeptics fail to mention. preparations for the next flight. Moore, as have so many other skeptics, quotes the Brazel description of the debris he found that appeared in the newspaper. "When the debris was gathered up the tinfoil, paper, tape and sticks made a bundle about three feet long and 7 or 8 inches think, while the rubber made a bundle about 18 to 20 inches long and about 8 inches thick. In all, he estimated the entire lot would have weighed maybe five pounds." But Moore, as like all the other skeptics before him, fails to report that Brazel said that he had found weather observation devices before but this was nothing like them. But if it was Mogul, then it would have been recognizable as a weather observation device because Mogul was made up of regular weather observation devices. So what was so strange about it that it induced Brazel to drive into Roswell to report it? Why did the military then wish to accompany him back out to the ranch to see where it was found? And if it only weighed five pounds, what is all that other stuff that was supposedly scattered in the high desert around the ranch? And here is something else that the skeptics fail to report. Moore told me that he and a couple of the others on the Mogul team went to Roswell to ask for their help in tracking their balloons. The officers at Roswell didn’t have the time to deal with "college boys." This means, of course, that the officers at Roswell knew about Mogul and what it would be like. Further, because they were launching balloon arrays that could foul up air traffic in southern New Mexico, they were required to post a notice to airman (NOTAM) about the launches. So, while the purpose of Mogul was a secret, they fact that balloon arrays were being launched in southern New Mexico was not. The point here is that Mogul just doesn’t make a very good solution for the case. The facts don’t add up and the skeptics tend to forget those parts that point in another direction. They can’t even prove there was a Flight No. 4, and if there wasn’t, then Mogul explains nothing. It merely clouds the issue, as so much else has. In July 1996, at the MUFON Symposium held in Greensboro, North Carolina, Budd Hopkins was disturbed by my paper about pop cultural influences on the imagery of alien abduction. He approached me and said, "You’re not an abduction researcher." I reminded him that he used information about an abduction I had investigated in his first book on the topic. I have been investigating alien abductions since the mid-1970s and apparently before Hopkins started. Four years later, that same comment was made, even after having published a number of articles on the topic, and having written two books about abduction. 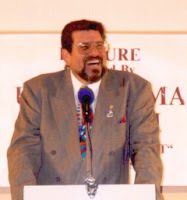 The second of those books, The Abductio n Enigma, written with Russ Estes (seen here) and Dr. William P. Cone, has created something of a fire-storm, with many attacking without attempting to understand the reason the book exists. Before moving on, it is necessary to provide some background information on both Estes and Cone. Estes, as a documentarian, has been investigating UFOs, and by default, alien abductions, since the late 1960s, which puts him ahead of most in the field today. He has interviewed and video taped literally hundreds of abductees and was responsible for some of the insights published in The Abduction Enigma. Dr. Cone is a licensed psychological clinician with more than twenty years experience in the field. He has worked with, again literally, hundreds who believe that they have been abducted. Some of those believed the abduction was at the hands of worshipers of Satan, but dozens of others believed that they had been abducted by alien creatures. When we begin to talk of experience, as a psychologist and an abduction researcher, Cone has credentials that are as impressive as any of those working in the field today. 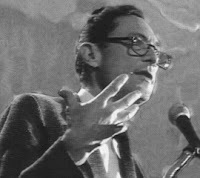 Unlike some who gained their experience in the ivory towers of academia, Cone gained his experience in the field working with real people who had real problems. Of course none of that means anything to the critics of our book. They simply begin attempting to pick apart some of our basic assumptions. For example, those believing that alien abductions are taking place have asked what is our definition of an abduction. They are attempting, I suppose, to understand the process we used to select the participants in our survey. The flip answer would be that we used the same definition that they used and the same people they used. It allows us to dodge the question without answering it. The real answer is that our sample was taken from those who had been identified as abductees by others. That means that our sample was made up of those who were accepted as abductees and that we identified no one from the general population who hadn’t been accepted by the "mainstream" of abduction research. It means that the abductees were those identified by Hopkins, John Mack, John Carpenter, Yvonne Smith, Richard Boylan and so on. It means that we did not identify them as abductees but relied on the definition used by those others and the identification of those others. Therefore, as mentioned, abductees in our sample are the same as the abductees used by the other researchers. The interesting thing here is that there seems to be no universal definition of who is an abductee. Jerry Clark, in the second edition of his The UFO Encyclopedia wrote, "Abduction reports concern alien entities who capture humans from their bedrooms, vehicles, or open air, transport their captives inside a UFO, and subject them to a bizarre, sometimes painful physical examination before returning them to the capture site." That seems to define the abduction event but not who, or what, an abductee actually is. David Jacobs, in Secret Life provided a description of the typical abduction. He wrote, "An unsuspecting woman is in her room preparing to go to bed. She gets into bed, reads a while, turns off the light, and drifts off into a peaceful night’s sleep. In the middle of the night she turns over and lies on her back. She is awakened by a light that seems to be glowing in her room. The light moves toward her and takes the shape of a small ‘man’ with a bald head and huge black eyes. She is terrified. She wants to run but she cannot move. She wants to scream but she cannot speak... This is the typical beginning of an abduction." Again, this addresses, more closely, what an abduction is as opposed to who is an abductee. Raymond E. Fowler, in The Watchers, also tells us what an abduction is and provides a few clues about who the abductee is. He wrote, "...credible witnesses who claim not only to have observed but to have been taken abroad a UFO by alien creatures ...the alleged abductee claims to have been examined and operated upon with foreign instruments. Almost always, communication is accomplished by telepathy." By the way, I have seen no complaints about Fowler’s suggestion that communication is telepathic, and I have seen no one howling for demographic data to prove this bold assertion. The closest that anyone comes, at least in the literature search I made, was from the "Abduction Code of Conduct" published in the Journal of UFO Studies. The authors wrote, "As there exist a number of possible causes for a reported abduction experience, investigators and MHPs [Mental Health Professionals] may work with individuals whose reported experiences stem from a variety of factors... abduction experiencer... simply indicates someone who reports experiences in their (sic) life which are consistent with, suggestive of, or thought to be associated with being ‘abducted’ (i.e., ‘carried or led away... in secret or by force,’) by apparently nonhuman entities." What this suggests is that an abductee is anyone who reports that he or she is an abductee. It tends to validate our sample because those we used were those who reported they were abductees. Unlike most of those other researchers, we did not advertize in the backs of books, or in magazines, or on radio programs, suggesting those with specific types of symptoms to write or call to expand our database. Those used in our survey were those who had been identified by other, the "true" abduction researchers. They were the ones who attended the UFO conferences, the symposiums, and the local, small meetings, and those who had joined one of the many abduction groups whose purpose was to gather to discuss abduction. Many of them were names that would be recognized by the UFO community including those who have appeared on television, those who have written their own books, and those who have been featured in the books of the abduction researchers. We defined our sample by who they were and who had hypnotically regressed them. The flippant answer turns out to be accurate because "our" abductees were the same as those interviewed by Hopkins, Mack, Jacobs, Carpenter and many of the other, lesser known researchers. I might point out here that, somehow, the selection of abductees has been turned on its head. We used those only identified as abductees, yet the other researchers advertize for their clients. Their abductees are "self-selected." Their sample is not random, by the strictest definition and that could skew their results. The size of our sample was 316 individuals. They were selected because they claimed to have been abducted and "true" researchers had validated their claim. Today, for some reason, everyone is screaming for our demographics, though in the past no one really cared about these numbers, random sampling or even the scientific method. In the last few months I read again that there is no psychopathology in the abduction population because Hopkins tested for it. What is rarely remembered is that Hopkins selected the sample, so it doesn’t seem to be random and it was only nine individuals. Hopkins has said that he has interviewed hundreds and hundreds of abductees since he began his research. This would mean that the data he presented about nine individuals who were not randomly sampled are invalid. The sample size was too small and not properly selected. Somehow those facts get missed most of the time. In fact, Dr. Thomas E. "Eddie" Bullard pointed out that the Hopkins’ test was of people who had "achieved a high educational level." He also noted that "In this sense the group is neither adequate in size or suitably representative to indicate what abductees are like... Abductions may still have a psychological explanation, but it belongs in some branch of the field other than abnormal psychology." Bullard agreed that the sample was too small for the results to have any validity, yet champions of alien abduction continue to cite these data. Our sample was drawn from all parts of the United States and several foreign countries. Each individual was video taped, and each was asked the same questions in approximately the same order. We, or rather I should say Russ and Bill because they did the lion’s share of the interviewing, asked all questions that seemed relevant. We did not limit ourselves by our preconceived notions, nor did we worry about privacy issues because we do not plan to release the names of those who participated in the interviews. In our sample, all those asked sat down in front of the video camera. Some asked to have their faces in shadow, or to be backlit so that it would be impossible to recognize them. Unlike Hopkins, Mack and the others, everyone agreed to go on camera in some respect. In our sample we had one hundred percent cooperation. Each of those interviewed signed a release, each had the right to refuse to answer any specific question, and each had the right to refuse the interview on camera. This too negates the privacy issue that is now so important to some of these researchers. Here again there are some interesting twists. Yes, when I first approached Pat Roach (who, by the way was self-selected), she asked that I use a pseudonym for her. I called her Patty Price to protect her identity. Within months, she had agreed to go on a syndicated television program and used her real name. So much for the privacy issue here. The story of Sherry, as related in The Abduction Enigma, is also illustrative. Sherry wanted her identity protected. She wanted to remain in the shadows and have her facial features obscured, up to point. That point seemed to be Disney and the opportunity to appear on a program that would be aired nationally. On television she told a story that was somewhat different than that she had been telling her abduction researcher and that she had told Estes. Not only that, she dragged her daughter into the tales, telling how she had stood by helpless, paralyzed, as the aliens had medically examined her child. Sherry had appeared in front of the camera to tell her horrifying tale. Finally, before we leave this area, and in contrast to what other researchers claim, Estes noticed that the abductees were often eager to appear on camera. The reason given was that the abductee seemed to believe that sharing the tale might help others and if that was the outcome, then the exposure to possible ridicule was well worth it. If Hopkins and others are having trouble finding people to appear on television programs to help advertize their latest books, then they simply are asking the wrong people. It has not been difficult for us. One other point about the our sample is important. The range of ages is from 26 to 47. We all decided not to deal with children because the memories of children are easily manipulated as shown by a number of scientific studies. When you begin to interview children under five, the things you learn from them are colored by their sense of wonder and by "magical" thinking. They don’t understand causal relationships and everything is new and wonderful for them. As children grow, they learn more about the world around them and their view of the planet changes. They learn that some of the myths of childhood have no validity, but they are still confronted by things that are new to them and information that is often difficult to grasp. An authority figure, whether a parent, a teacher, a police officer, or an abduction researcher, can lead them, often without intension, into arenas that are far from the literal truth. We eliminated this problem by dealing solely with adults. Now, in what has become the strawman of our research, we found a disproportionately high number of homosexuals in our sample. One hundred and seventy-four of them expressed homosexual tendencies. That can be broken down into those who were bisexual (23%) and those who had expressed a homosexual preference but who had not engaged in sexual activity for more than five years (29%). Before anyone claims the percentages do not add up, remember that those who said they were bisexual could also be in the group who abstained. And no, we did not investigate to learn the accuracy of their claims. We accepted, at face value, their reporting of their sexual preferences and activities, just as the other abduction researchers have accepted at face value many of the self-reported facts. Before we proceed, it might be illustrative to discuss how this discovery was made. It wasn’t a question of sitting down to decide to talk about homosexuality, but an outgrowth of the interview process. Russ Estes had asked about the gender of the alien creatures. He was told, by the females, that most of the abductors were male, but that the leaders seemed to be female. In early discussions, as these distinctions were being made, Estes asked the natural follow-up question which revealed the pattern of gender identity. Once the preliminary observation had been made, the question about sexual orientation, as an outgrowth of an attempt to learn the gender of the alien creatures, was added to the survey. The statistic became important, not because it deals with homosexuality, but because homosexuals are over represented in our abduction sample. Depending on which psychological or sexual study is cited, the representation of homosexuals in the general population is between 2 and 10 percent. This means their representation in our sample is between six and thirty times what it should be. Given that there is no accurate way to identify a homosexual individual by outward appearances, it would seem that an alien race grabbing people at random would end up with a sample that is statistically within the norms of the general population. This is not the case, based on our findings. Maybe it should be pointed out here that African-Americans, Hispanics, and Asians are vastly under represented in the abduction population. Again, you would expect that all racial and ethnic groups would be represented as they appear in the general population, but this doesn’t seem to be the case. Yes, Hopkins, Mack and Jacob all say that the representation of these groups is normal but the individuals in these sub-groups simply do not report their abductions. Of course, if they don’t report them, then we can’t know for certain that they are properly represented but I see no one suggesting that abductions researchers explain this abnormality. No one is asking for proof that these other racial and ethnic groups are properly represented in the abduction populations. Instead the pronouncement that these other groups are properly represented but don’t report their abductions is accepted at face value without questioning the validity of the claim. All of this leads to a number of other statistical surveys that could be made. By changing the variable from sexual preference to college education, or incident of divorce, or religious choice, or right and left handedness, further statistical abnormalities might be identified, and that might provide clues about the nature of alien abduction. If another population, one which has no outwardly visible signs is overly represented, then we would have learned something about those who report abductions and that might provide clues about abductions in general. And while we’re attacked for not providing precise demographic data, other abduction researchers are not asked similar questions. Using Budd Hopkins again, he has said that 20 to 30 percent of the abductees have conscious memories of their abductions so that hypnotic regression is not a factor. No one has asked any specific questions about this information. For example, what exactly does Hopkins mean by conscious recall? Does this mean a vague feeling of unease, the memory of awaking paralyzed and the belief that something is in the room with them, or is it just the memory of a vivid dream? Hopkins reported that "Steve Kilburn" had a conscious recall of a vague feeling of dread about a segment of highway. Under hypnotic regression, this feeling of dread was expanded into an abduction experience. Is Kilburn counted in this 20 to 30 percent? Does the conscious recall include what is properly termed sleep paralysis? Depending on the study used, as many as half the people in the general population have experienced an episode of sleep paralysis. The symptoms match, exactly, those Jacobs outlined as his typical abduction experience cited earlier. No one has asked if the abduction researchers have taken care to separate the abduction experience from that of sleep paralysis. In fact, abduction researchers have claimed that sleep paralysis does not explain alien abduction. They cite differences such as those who were allegedly abducted while fully awake. That does not mean that a percentage of those now identified as abductees did not have, as the precipitating event, an episode of sleep paralysis. I should point out here that we attempted to gain the cooperation of a number of abduction researchers in a general survey of sleep paralysis in their abductee populations. It seemed to us that such a statistical analysis would provide some independent corroboration of some our findings. Of our 316 individuals, nearly half reported an episode that mimicked sleep paralysis and seemed to be the event that caused them to search for additional answers. None of the abduction researchers were courteous enough to even respond with a negative answer. Instead they ignored our requests for assistance and this was long before the book was published. We can expand our database by searching through the abduction literature. Hopkins’ tale of a man he called Philip Osborne provides us with some clues. Hopkins wrote, "I noticed his interest in the subject [UFOs] had a particular edge to it. It was almost as if he accepted too much, too easily." Hopkins believed "that someone with a hidden traumatic UFO experience might later on be unconsciously drawn to the subject." 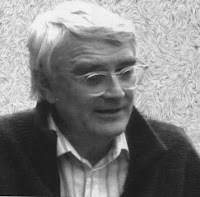 Osborne called Hopkins after an NBC UFO documentary and said that he had been struck by Steve Kilburn's remark that anyone could be the victim of abduction. According to Hopkins (seen here), Osborne had b een searching his memory for anything in his past that would indicate some sort of strange experience. Then, one night after the NBC program, Osborne awoke in the middle the night, paralyzed. He could not move, turn his head or call for help. The experience was over quickly, but it reminded him of another, similar event that happened while he was in college. That earlier event had one other, important addition. He felt a presence in the room with him. Osborne, it seems, had recognized one of the problems with abduction research, had communicated it to Hopkins, and then had it ignored. Osborne was wondering if the "memories" he was seeing under hypnosis were real. Hopkins believed they were so took no notice of Osborne's concern. Hopkins believes in the reliability of hypnosis as a method for uncovering the truth. We, however, see those statements by Osborne as extremely important in attempting to understand the context of alien abduction. The fact that seemed to be overlooked, once again, is that Osborne's initial experiences are classic forms of sleep paralysis. Even the belief that an entity is in the room happens in about eighty percent of the cases of sleep paralysis. While Osborne certainly has some form of conscious recall of an event, it wasn’t until hypnosis was introduced that the memories moved from those that sound suspiciously like sleep paralysis to those that are now a complete and full blown abduction. The key here, with Osborne, as it has been with so many others, is the use of hypnosis and the validation provided by the abduction researcher. And now we reach the reports that can be classified as vivid dreams. Betty Hill remembered nothing of the abduction until she began to dream about it. On the advice of friends, she began to keep a journal of those dreams and when interviewed by UFO researchers about her sighting, told them of the dreams she was having. That aspect of the case, the abduction told through dreams, was virtually ignored until she, along with husband Barney, were hypnotically regressed. Then, because the memories were accessed through hypnosis, they seem to have been validated. The point, however, is that the conscious memories of the abduction surfaced through dreams. So, there are a number of reports that represent conscious recall. Unfortunately, that conscious recall isn’t of an abduction itself, but of a dream, or possibly sleep paralysis, or of vague anxieties that emerge under hypnosis. Yes, we know that Eddie Bullard, in his report for FUFOR noted, "Only a minority of cases include hypnosis in their discovery and investigation. For 212 cases the reports include no mention of hypnotic probes, and undoubtedly in most instances no mention means no hypnosis." Of course, this is an assumption on the part of Bullard. Since his report was published in 1987, that situation has changed. But the real point is that we have no demographic information about where Hopkins obtained his 20 to 30 percent suggesting no hypnosis necessary for recall of the abduction event. But all of this, the demands for demographic data and definitions of abduction are red herrings because they mask the real issue. In The Abduction Enigma we addressed many of these issues, but more of the criticisms focused on either the lack of demographic data or that we had found an anomaly in our statistical sample. That is, the homosexual population was over represented. We thought this strange statistic should be reported simply because none of the other abduction researchers had explored this ground. When questioned about it, they thought nothing of it. Overlooked, however, are the facts we uncovered about abduction research itself. These facts are mentioned, in passing, by other researchers, but the significance of them is downplayed. Searching the abduction literature, we found, expressed by other researchers, another part of the abduction answer. It was an answer that each of the researchers offered to explain the mistakes of their fellows, but a criticism that did not apply to the researcher making the claim. Jacobs, in The Threat, wrote, "Many hypnotists and therapists who work with abductees adhere to New Age philosophies and actively search for conformational material. During hypnosis, the hypnotist emphasizes the material that reinforces his own world view. If both the subject and the hypnotist are involved with New Age beliefs, the material that results from the hypnotic sessions must be viewed skeptically, because their mindset can seriously compromise their ability to disc ern facts." John Mack (seen here) said something similar. He said, "One of the interesting aspects of the phenomenon is that the quality of the experience of the abductee will vary according to who does their regression." Mack also told C.D.B. Bryan, "And there’s another interesting dimension to this which Budd Hopkins and Dave Jacobs and I argue about all the time, which is that I’m struck by the fact that there seems to be a kind of matching of the investigator with the experiencer... And the experiencers seem to pick out the investigator who will fit their experience." This is, of course, a ridiculous explanation offered to explain why the investigations of a specific researcher match the data gathered by that researcher, but not necessarily that of another. Mack then goes on to explain it. He said, "It seems to me that Jacobs, Hopkins and Nyman may pull out of their experiencers what they want to see." Mack has just provided an answer about the abduction experience if he could understand what he implied. He has explained why Jacobs finds hybrid invaders, Hopkins finds alien scientists and Mack finds eastern philosophers. They pull from their experiencers what they want to see. Evidence of this is seen from the earliest investigations into alien abduction. When I arranged for Dr. James Harder, at the time the APRO Director of Research, to use his hypnosis skills on Pat Roach, there weren’t many people claiming to have been abducted. His motivation was a validation of the Hill abduction. If there were additional abductions in widely separated parts of the country, Harder believed that the testimony would be persuasive evidence of alien abduction. A close reading of the transcripts of Harder’s hypnotic regression sessions with Roach point to his leading her to the place he wanted to reach. For example, when Roach mentioned that she believed she had been examined by the aliens but didn’t really remember it, Harder asked her if it had been a G-Y-N examination. There certainly was no reason for Harder to limit it to that one sp ecific kind of examination, other than his desire to validate the Hill case. There is another point that is not evident on the tapes or in the transcripts because the intervals between the hypnosis sessions were not taped. These discussions provided some insight into the researcher methods. At one point, before the session in which Roach revealed she had been examined, Harder (seen here with Pat Roach and her daughter) had told her of Betty Hill’s quasi-medical examination on board the UFO. It was in the very next session that Roach told that she thought she had been examined and Harder asked about the G-Y-N. In fact, a close examination of the Roach case revealed where most of her inspiration could be found. Harder was inducing it during his questioning under hypnosis and in his discussions with her between those sessions. At the time, to me, it seemed to be a good technique because it assured her that she was not alone in her memories of alien abduction. It was supposedly a relaxing technique that reduced her anxiety. In the end, it was a subtle prompting that took Roach in the direction that Harder wanted her to go. I doubt that Harder realized what he was doing. I certainly didn’t see the harm in 1975 as we interviewed Roach. I tried to find out how pervasive such coaching might be. 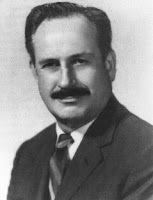 Looking at the Herbert Schirmer abduction from Ashland, Nebraska in 1966, I saw that Dr. Leo Sprinkle, working with scientists from the notorious Condon Committee, had met with Schirmer during one morning to explain how they planned to proceed with their investigation. 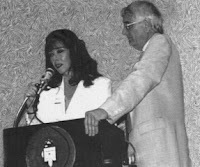 Notes and information about the hypnosis sessions were included in both the official report issued by the Condon Committee and in books written by Coral Lorenzen. Neither of those sources provided the answers that I wanted. Working with Jerry Clark, we began a long distance investigation. We asked Dr. Michael Swords, who has been through the Condon Committee files, and who is quite familiar with the case, if there were any notes that would tell us what happened before the hypnosis session. Unfortunately, there was nothing available in that source to clear up the questions. Clark, who is friends with Sprinkle, agreed to approach him to see if notes or minutes or some sort of record of those earlier sessions existed. Sprinkle responded quickly to Clark’s request, but only to say that everything he had was published and he gave the same sources that we had already checked. What I wanted to know, and what is important here, is how Sprinkle had approached Schirmer. What did he say to him about the reasons for wanting to hypnotically regress him? It would seem that if Sprinkle mentioned that he thought there might be more to the original UFO sighting, if Sprinkle mentioned the possibility of an abduction, then the session would be tainted. That is not to suggest that Sprinkle mentioned abduction, or that one of the scientists from the Condon Committee mentioned abduction, but there is no way of knowing this in today’s world. If we extrapolate from the problems with the Roach investigation, the possibility of implanting memories by discussing hypnosis, and from Mack’s theory, we can see that each of the researchers is finding an abduction where nothing of the sort might exist. All we have to do is return to the initial hypnotic regression sessions, as published by the abduction researchers, and we find, time and again, how, originally, the subjects said there was nothing there. 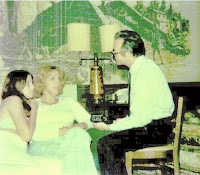 The researchers, however, using various techniques, "strengthen" the state of hypnosis and eventually break through the mental blocks erected by the abductors. I think we need to note here that it doesn’t matter how skilled the hypnotists are, or how sophisticated the alien abductors might be. Everyone who tries is able to break through the mental blocks to learn all that the aliens try to hide. It would seem that an alien race who has defeated the problems of interstellar flight would understand enough human psychology to hide their actions if they wanted to do so. Yet their attempts fail as the weekend hypnotists, as well as though with extensive training, are able to learn the alleged truth. Eddie Bullard in his report for FUFOR noted, "At no time in any of the reports on record has an abduction appeared out of nowhere to someone undergoing hypnosis for unrelated reasons." Bill Cone reinforced that, saying much the same thing. In our survey of 316 individuals, all of them had gone to an abduction researcher. All of the individuals found an abduction experience, even when the reason for beginning the search was little more than a very vivid dream. In a corollary, it should be pointed out that we know of no case in which someone approached an abduction researcher, was taken on, and failed to produce an abduction experience. Yes, we know that one researcher screens those who write to him, suggesting that he can tell the "nut cases" by the number of times confidential is written on the envelop and how much tape is used. The point is that all those who have been accepted have produced the required tale, with the proper elements that reinforce the specific researcher’s belief structure. In one of the most important of the revelations in The Abduction Enigma, we found a clue about the nature of the abduction phenomenon and we have discovered why the stories, used as proof that abductions are real, seem to match so well. The researchers are directing the stories as they are being told. This observation was one that was made by Mack and Jacobs. There is no reason to reject it as an explanation. Both have suggested, as noted, that the researcher finds what he or she wants to find. But, rather than discuss this revelation, rather than suggest that we have misinterpreted what they said by claiming it is inaccurate, they begin to complain about demographic material, source of interviews, and the fact that a disproportional number of gays were found in our abductee sample. These researchers and critics don’t know if our sample was skewed because none of the other researchers asked these basic questions. Instead they suggest that we were asking questions that were none of our business. This from people who are not mental health professionals but are using hypnosis and commenting on psychological principles that they have not studied and about which they know very little. And if it is true that the researchers are pulling from the abductees what they want to find, and we certainly saw corroboration of it in our research, then hasn’t the case for alien abduction been seriously damaged? Haven’t we reported on a flaw that has been virtually ignored as researchers continue to gather data? If we are correct, then shouldn’t abduction research, as it is now conducted, be reevaluated to eliminate these problems? Remember, we are not the only ones to find this problem but we did suggest it as a major reason that abduction research should be altered. Instead of considering this possibility, the critics and abduction researchers begin to focus on demographics and trivia rather than confronting the issue. Case study research, which is what the lion’s share of abduction investigation has been for the last twen ty to thirty years has yielded all the results we can expect. There are now, literally, thousands of case studies, beginning in this country with Barney and Betty Hill and continuing to Linda Cortile (Linda seen with Budd Hopkins) of Witnessed fame. These latest studies provide nothing that is actually new or important but become one more stone to throw onto the pile. But case studies are not going to advance our understanding of alien abduction. Instead, they conceal understanding under a mountain of paper and transcripts. The real point of The Abduction Enigma was that abduction research has stagnated. Abduction research is caught in a cycle that allows for no new revelations or understanding. When we suggested that such was the case, when we presented evidence that such was the case, the attitude was to ignore these criticisms and attack demographic information that has little overall importance. This report provides the sort of demographic information that other abduction researchers have refused to supply. It also points out where abduction research should go if it is going to survive in the future. We understand the case studies, we understand that the abductees are telling all the truth as they understand it, but we must now determine if that truth is of alien visitation or if it conceals something else. That was supposed to be the message in The Abduction Enigma but too many chose to ignore it or fail to see it. They would prefer that we stay where we are, placing the unsuspecting under hypnotic regression in a thinly veiled attempt to maintain the status quo. Let’s look beyond that and move the research into an arena that can provide some answers and that will actually help those claiming abduction. To do any less would be to ignore the situation. I was working on something else this morning when I realized that the man who most recently accused me of cowardice had said, on August 2, 2007, "Yes, I certainly did and do call Kevin Randle a coward. I called him a ‘coward’ because he refuses to debate the facts of Roswell, despite repeated invitations to do so by the media. This is a fact." His fact collapses when the evidence is examined. First, as noted elsewhere, I debated Karl Pflock about the facts of Roswell after receiving an invitation to do so. But, worse for the man who called me a coward is this fact, which he has forgotten. I debated him on Thursday, June 26, 1997 at eight in the evening on televison station KOMO in Seattle. I remember little about this other than the cab driver couldn’t find the TV station and that one of the first things done was a smear of Jesse Marcel. Naturally, it is easier to call someone a liar than to demonstrate how the error was made that suggested he was a liar. No one wanted to hear an explanation of how Marcel’s personal and private military record was improperly leaked into a public arena. I have the date, location and time in my media diary. Oh, for the record, I debated Phil Klass on a number of occasions on a variety of programs (once sitting side-by-side with him for a remote to Good Morning America. I debated Karl Pflock on the TV show SF Vortex, and debated several others at various times on the radio or on television. So, I guess I’ll wait for the apology for this slander and a retraction of the allegation. Yeah, I’ll have a long time to wait. I have attempted to keep this blog about things unusual and paranormal and overlook some of the infighting that goes on in the UFO field. I have tried to present the results of investigations and at times those investigations impacted on individuals. I believe that these reports have been fair and when there has been a mistake I have attempted to correct it as quickly as possible. I guess that means that some might see these reports as attacks. I have questioned credentials and stories and documents. I have tried to get at the truth and at times, I have failed. I don’t believe that any of the reporting was unfair and I believe that I supplied sufficient documentation and information to back up what I have said. But now, inside the UFO field there is a very nasty fight taking place and I am involved in part of it. I have been called a coward twice in my life, both times inside the UFO field and both times by men who have never heard a shot fired in anger and I suspect by men who never served in uniform. And I have seen friends attacked for no reason other than they disagreed with one of those men who called me a coward. Before I respond to that specific allegation, let me say something about a posting I saw today. A man supposedly sent an email to a web site (heaven forbid I call it a blog) suggesting that Paul Kimball, while in school had an attitude of "gotta get you back." Now, to understand the context you must know that Paul had been involved in this fight for a number of months. He saw it as a waste of time and he proposed a truce between this web site owner and himself. He would say nothing derogatory about the man if he would do likewise. This truce held until recently. From my perspective the other man broke the truce when he made veiled references between the communist governments behind the Iron Curtain and Paul’s Redstar Films. It was a subtle attack and I doubt many caught the significance of it. I certainly did. Paul, in reading some of the attacks launched at others of us, some of whom he counts as friends, wrote about this on his blog. It gave his opinion but that was enough to set off a new rage in the man and the attacks began. Of course the man suggested that Paul was the first to break the truce, but I believe the article about the red star was actually the first, tentative shot. Next came the alleged email from a classmate of Paul’s. The letter was filled with allegations... but it lacked the one thing that would have given it real impact. It lacked a name. There is no way to verify if the writer actually attended school with Paul as claimed. The letter is the worst kind of smear because it sets up allegations, it makes claims, and it attacks character, but it offers nothing in the way of proof and no way to verify it. And as they sometimes say in the law, you can’t unring the bell. Even with the lack of a signature, that nonsense is now out on the web for all to see, though I doubt many will see it. It will hang there like dirty laundry, an unfair accusation of a man who did nothing other than write a brief statement in defense of his friends. I see nothing more cowardly than posting an attack on another and not having the courage to sign it. It is very easy to stand on the sidelines and sling allegations if you know the mud won’t splash you... that is, if the writer is actually who he claimed to be. Without a signature, without a name, I don’t believe it was an email received. I think it was invention as a way of attacking Paul without having to sign a name. The other thing I wanted to point out is how nasty the UFO field has gotten. We can’t just disagree with anyone anymore, we must attack each other’s character. I don’t know why it is necessary to sling this allegation of cowardice at me, but it has come from a field that has few participants and fewer who wish to get into it because of the nastiness. I did, a number of years ago, debate the late Karl Pflock. Those who believed that Roswell represents the crash of a UFO thought I won, and those who favored the Mogul myth thought Karl won. I know that Karl was annoyed with my pocket Mogul which was bits of aluminum foil, balsa and string. It was a way to demonstrate that Mogul had been made of items that were easily recognizable for what they were. The point is that we had a venue that was unbiased and fairly moderated. We did it in front of crowd and there were three video cameras recording the event. Now, someone has claimed he issued another challenge to debate, but I have received no such challenge. Had there been one, I might have accepted, depending on the circumstances, or I might have declined because what would be the point. But I have not received the invitation to debate. To suggest I’m a coward for not wanting to debate is ridiculous, but more importantly, it is simply untrue. This is similar to his other allegation, which is that he has raised questions about my Roswell investigation that haven’t been answered. True, I haven’t responded to many of them because they simply were so ridiculous that they deserved no response. Others have been answered in depth with evidence to support those answers. However, I am not obligated to respond to all the nonsense that is being slung, nor am I required to debate this fellow in a venue of his choosing. Now, I’m sure that you noticed that I have not mentioned the name of the man who is slinging these allegations... Those of you who wish to know, can easily find out. Those who don’t won’t be subjected to his rants. But the point is that I don’t want to give him additional credibility. His charges, which he continues to sling, are simply the opinions of a hate-filled man. For those of you who would rather read about UFOs and the paranormal, I apologize for this diversion. I felt it necessary, simply because, sometimes you just have to say something. Sometimes you can’t let the nonsense hang without providing some sort of response to it. Sometimes you have to try to unring the bell.